Serj Tankian has been doing the lord’s work since System of a Down. The man hasn’t been trying to recapture the success of System of a Down; he’s been using that success to show the fans that will listen where those weird time signatures come from. This summer he’s releasing an album called “Jazz-Iz-Christ” which is also the name of the band. “Jazz-Iz-Christ” is mostly instrumental, it’s Serj’s brainchild, but there are several musicians involved. Where System of a Down heavy music that was influenced by progressive rock, fusion and jazz, “Jazz-Iz-Christ” is Jazz music influenced by rock…if that makes sense. At times the music on “Jazz-Iz-Christ” is very heavy at other times it’s very mellow, at all times it’s challenging yet pleasing to my ear (at least). 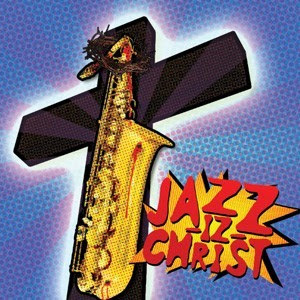 I love “Jazz-iz-Christ” and I hope to Jazz-iz-Christ that this music reaches some kid at home learning his instrument and turns him on to the world of Jazz. Like Serj, Godsmack frontman Sully Erna released a solo album called “Avalon” which was mainly world music. It’s refreshing to hear musicians who could have been cornered by their heavy metal sound branch out and do something outside of the box for them. Not every System of a Down fan is going to hear this, but the ones that do will be rewarded.